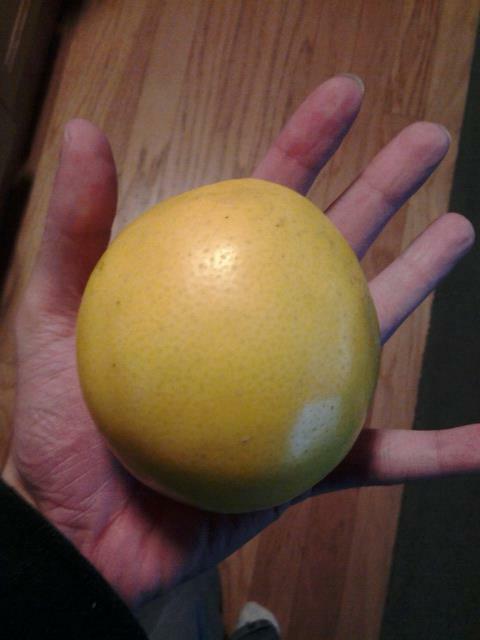 Biggest Meyer Lemons I've ever seen! A friend gave me some Meyer lemons on New Years Eve and after debating what to do with them I decided to make some Limonchello. 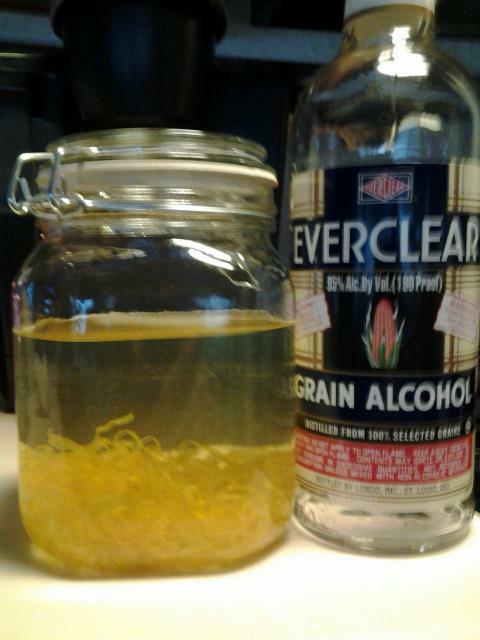 I decided to go with the more traditional use of grain alcohol - 95% alcohol to be exact. 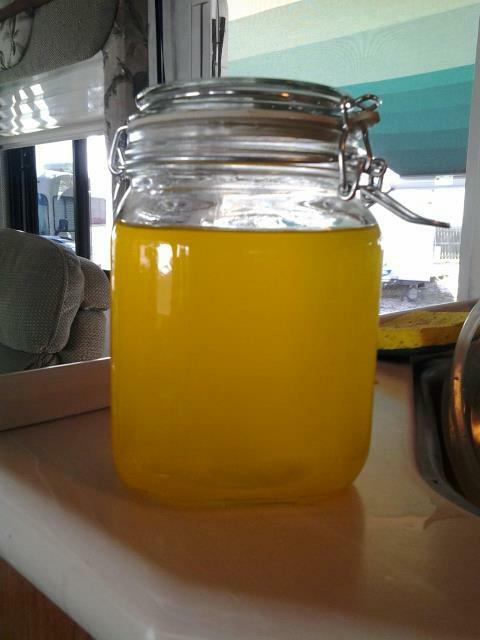 A lot of the recipes said to let the zest soak infuse for at least a month but when I looked at mine today I noticed all of the zest had lost its color and was floating so I am decanting early. I also infused with the lemons juice which a lot of recipes didn't call for. After a week of infusing and being filtered twice - it's looking gorgeous! The clear rum is already a lovely red color. I will be mixing this with a brown sugar simple syrup and some vanilla. Soft fruit will not need to infuse for more than a week or two. When the cherries lose their color they can be removed and thrown away since all of the wonderful fruit flavor is now in the alcohol. 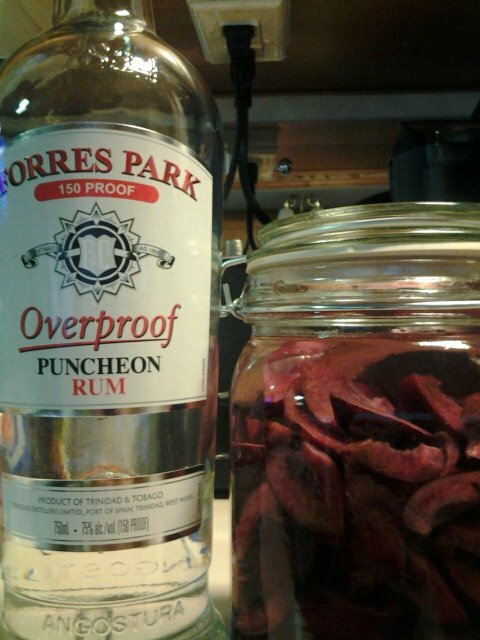 I also chose the highest alcohol content I could find for a rum. 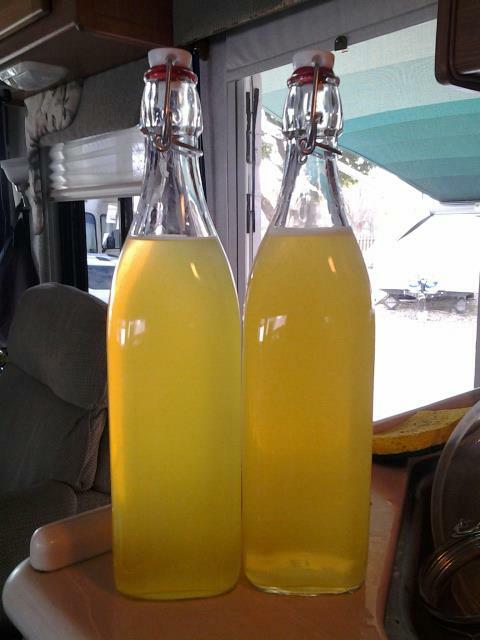 Your states will vary - infuse longer for lower proof alcohols.